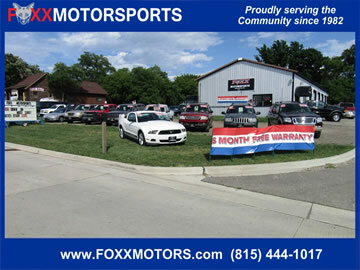 About Foxx Motor Sports of Crystal Lake, IL, providing clean and reliable used cars trucks, and SUVs for every budget. 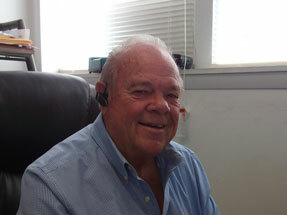 Jerry has been in the Automotive Business for over 45 years. He originally owned an Auto Body and Repair Shop. He has an incredibly vast and articulate knowledge of automobiles and how they work. He loves everything about vehicles except rust. We mean...he really hates rust! Jerry & his wife of 50 years, Georgia, are natives of Crystal Lake and are very active in the community. They spend a great deal of their free time up at their 'getaway home' in the Wisconsin Dells with their 5 Grandchildren. Besides his wife, Jerry's pride and joy is his '55 Chevy Bel Air that he has lovingly restored to peak condition and loves to show off at Car Shows. Jerry is very easy going and loves to talk cars with anyone. 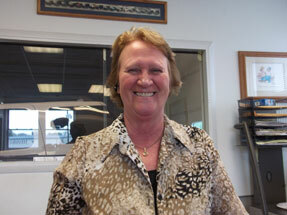 He is the Primary Buyer of our vehicles and acts as our Customer Service Ambassador. Carl is our Chief Mechanic. 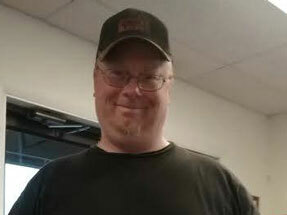 Carl cares greatly about making your new vehicle run as efficiently and carefree as possible and will bend over backwards to help you out. 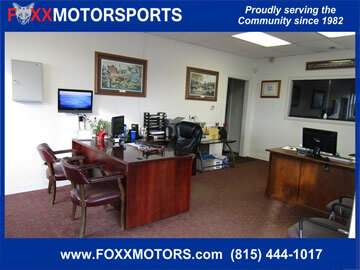 He has been with Foxx Motor Sports for over 2 years. 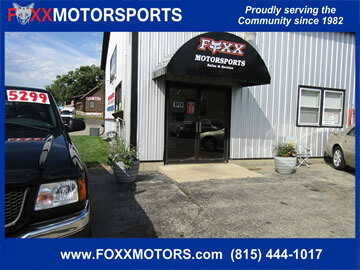 Carl says he likes Foxx because of the laid back nature and easy going atmosphere of the place. He spends most of his free time with his four 'munchkins' going to their Soccer games. Mary handles all the State & Government paperwork. Pays your taxes, gets your new vehicle registered and titled. She will also handle all of the 'out of state' transactions.